At Iowa Veterinary Wellness Center, we like to provide our patients with all of the information they need right at their fingertips. Please feel free to look through our list of Helpful Links to answer any questions you may have. You can also feel free to give our office a call! The International Veterinary Acupuncture Society (IVAS) is a non-profit organization dedicated to promoting excellence in the practice of veterinary acupuncture as an integral part of the total veterinary health care delivery system. The Society endeavors to establish uniformly high standards of veterinary acupuncture practice through its educational programs and accreditation examination and process. IVAS seeks to integrate veterinary acupuncture and the practice of modern veterinary science, while also noting that the science of veterinary acupuncture does not overlook related treatment modalities. The American Academy of Veterinary Acupuncturists mission is to improve animal health care by the advancement of veterinary acupuncture, Traditional Chinese Veterinary Medicine and Traditional Asian Medicine through education, research and leadership. 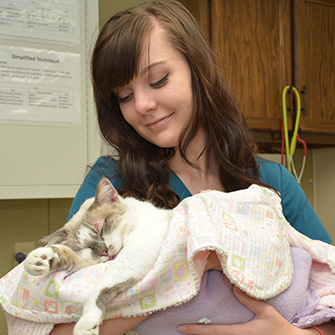 Comprehensive cat healthcare information including detailed information on raw, species-appropriate feeding. Veterinary Partner contains many health-related articles regarding many veterinary diseases. We use Veterinary Partner frequently as an educational resource for our clients and their pets. Petly is a portal for you, as our client, to access your pet’s health information such as wellness and vaccination reminders, articles, videos and more. 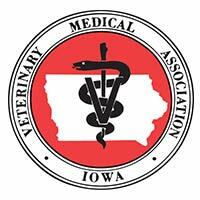 Through the years, Iowa Veterinary Wellness Center has had the fortunate experience of developing long and lasting relationships with local area businesses. With similar business practices as our own (chiefly how they treat pets and their parents), we feel confident in the services and goods offered by the following businesses. We do not take these recommendations lightly; we use positive word-of-mouth reviews from our clients as well as our own personal experiences. We feel good about using the businesses for our needs – we feel that you will, too!